We offer to our honored patrons the first-class range of Rod Step Seal. We are dedicatedly involved in providing an excellent quality Rod Step Seal, array of seal, for catering the various needs of our clients. 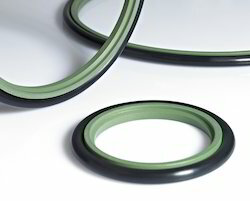 - Offered seal has a special filled PTFE ring with a pre-loaded lip energized by an O ring. Rod Step Seal, Size: 3 Inch Dia. We have carved a niche amongst the most dominant names in this domain, engaged in offering Rod Step Seal. We offer our clients an exclusive range of Rod Step Seal. Owing to our in-depth knowledge of this domain, we are specialized in providing Rod Step Seal. With our vast industrial experience, we are engaged in offering extensive range of Rod Step Seal. Our product is highly recommended amongst the clients for their sturdy nature. We offer Rod Step Seal to our patrons as per the need of the applications. We manufacture product using latest techniques and from quality material. Rod seal profile RS018 consists of two piece seal set for sealing rod with one seal ring and one energizer O-ring. Our products are suitable for various applications. These products are made using quality material along with cutting edge technology. Rs. 40 - 10, 000 (per piece). 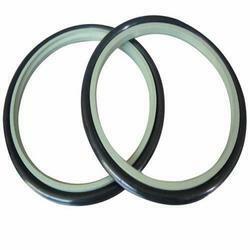 We take pleasure in introducing ourselves as leading firm by offeringRod Step Seal.